The future of automotive development is one of increasing complexity and variety as consumers move away from multipurpose vehicles to vehicles fit for purpose. Hardware components will increasingly include imbedded electronics and software components. The standardization of these components between models and the inclusion of internet of things (IoT) connectivity will provide automanufacturers the ability to provide over the air (OTA) software updates containing new features or bug fixes. Components supplied by tier 1 suppliers are often not exclusively sold to one automanufacturer, therefore if components supplied by them, for example the Advanced Driver Assisted System (ADA) or Automotive System-on-chip (SoC), are IoT connected then it raises the prospect of OTA updates to every car utilizing those components. This prospect is concerning because a single flawed software update could cause 10,000’s or more life threatening accidents. It is therefore essential that automotive functional safety be intrinsic to all software development with complete traceability and transparency as cars become increasingly complex and eventually entirely autonomous. The future is all electric. The contribution made by Tesla towards the advance of electric automobiles can not be overstated, fundamentally changing the way all electric cars are viewed. From a picture of small slow boxy unreliable cars, to one of fast and powerful with long range and looks to die for. As a result of the success (preorders) of Tesla’s new more affordable model, other automotive manufacturers have taken note. VW is one automotive manufacturer that has something to prove. Post emissions scandal VW is cutting costs and refocusing its business towards electric, it has committed to producing a million electric vehicles a year by 2025. Nearly every automanufacturer is looking to transition from hybrid models to all electric as battery technology and other necessary technology becomes more widely available and cost effective. The real drive towards electric is fueled by consumer demand which in the case of electric is in large part due to the success of Tesla. Consumer Demand Dictating Automotive Industry Direction. With smart phones and Windows 10 and the vast array of applications available, the connected application based ecosystem has become easy to use and therefore widespread, consumer expectations of products have evolved accordingly, connectivity is increasingly expected. Real time feedback on product use is driving product development, and the product is increasingly software, developers have had to increase the speed of development to keep up with consumer demands, typically through Agile and lean software development practices and the merging of development and IT operation departments through DevOps. The consequence is massive complexity and consequently increasing concerns about safety, security and reliability. Increasing complexity inevitably has lead to vulnerabilities that hackers can exploit and bugs, both of which can cause failure of systems. Indeed, there are plenty of high profile examples of automotive failure in the recent past, and this is despite the heavily regulation, raising the question of the effectiveness of existing automotive standards and regulations. As automanufacturers are original equipment manufacturers (OEMs), they are responsible for vetting all of their suppliers, typcially this is done through maturity models, in the US this is typcially CMMI and in Europe Automotive SPICE (ASPICE or ISO 26262) is used. ASPICE is a derivative of ISO 15504 (software process assessments) and ISO 12207 (process capability dimensions) international standards. Both ASPICE and CMMI are used to determine the level of capability of suppliers to develop and supply automotive components. ISO 26262 is a risk-based safety standard, where the risk of hazardous operational situations is qualitatively assessed and safety measures are defined to avoid or control systematic failures and to detect or control random hardware failures, or mitigate their effects. ISO 26262 covers functional safety aspects of the entire development process of every component, applying an automotive specific risk based approach to determining the level of risk of potentially hazardous operational situations related to electrical or electronic systems (Automotive safety Integrity levels ASILs A-D define + classifies risk levels). ASILs enables automotive manufacturer to determine if the items´ necessary safety requirements are achieving an acceptable residual risk. Functional safety requirments dictate regular audits to ensure automotive suppliers and automanufacturers are abiding by rules and regulations, this is done by through standards compliance checks via audits. In the case of functional safety, audits are carried out to determine whether application lifecycle management methods are implemented correctly. The existing checks and balances, standards and regulations are old hat, in other words out of date, failures are all too common and are increasing, in a large part due to the increased complexity of systems. Steps are being taken to reduce complexity, but the outcomes are far off. One example, in reference to electric cars, – is a joint EU / US effort to harmonize standards as well as creating a unified programming language for all car components with the end goal of complete interoperability. In reference to car hacking, failures of existing standards have been noted and attempts have been suggested to address the associated risks. The SPY car act bill was proposed by Democrat senators, Ed Markey and Richard Blumenthal in July 2015, with no outcome to date. So What can be done to Mitigate risks of development and comply with standards? 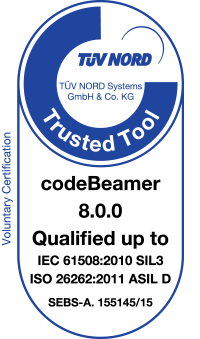 Through the use of codeBeamer ALM the complete traceability of testing of software systems can be achieved but it can also manage the testing of mechanical and electronic systems through integration with PLM software, and provides a unified data model, preventing the duplication of data. ALM Software provides an extensive documents management functionality and an integrated environment for software development, including complete traceability across the entire application lifecycle, including testing automation, linking tests to requirements. The features of codeBeamer ALM automotive template assist connected car departments meet the regulatory requirements of the automotive industry and enables quick and easy audits. Not only does codeBeamer ALM reduce the risk of development through reinforcing best practice provided by any Agile Framework, but for when errors do occur, ALM Software assists with the identification of the errors and simplifies the fixing of those errors thus reducing development cost and minimizes the cost of failure. Eva is an Economist (MSc) and also holds an MBA in Marketing Communications. She has over 10 years of experience in journalism, digital media communication and project management working with several multinational companies and governmental institutions. You will find her blogs posts on a variety of subjects from Agile-Waterfall Hybrid, Scrum to DevOps. It is true that automotive software industry is growing fast but there are lots of key challenges still remain to consider to make the system smooth that is automotive functional safety. Above article is good and informative for developers to keep these tips in mind while development. Hi Kaith, Thanks for your comment. I am happy to hear that positive feedback.